Michael Thomas made a 72-yard touchdown four minutes into extra time to help the Saints end the Los Angeles Rams unbeaten streak with a 45-35 win on Sunday at the Superdome. The Saints were holding onto a three-point lead four minutes into extra time. Rams’ Drew Brees lobbed a pass to cornerback Marcus Peters but the ball dropped into Thomas’ hands instead. The 25-year-old rushed for the remaining 45 yards, scored a 72-yard touchdown and denied New Orleans a chance to equalize. The touchdown gave the Saints a much need cushion. They won their seventh game this season and at the same time ending Rams’ perfect start. Rams’ loss came as a surprise to Peters who said he didn’t expect the result. The Saints dominated the visitors from the start, leading 21-3 before the Rams scored 14 points to end the first half 35-17. In the second half, the Rams came looking like a new team, scoring 18 straight points to tie the scores at 35 with 9.57 minutes remaining. 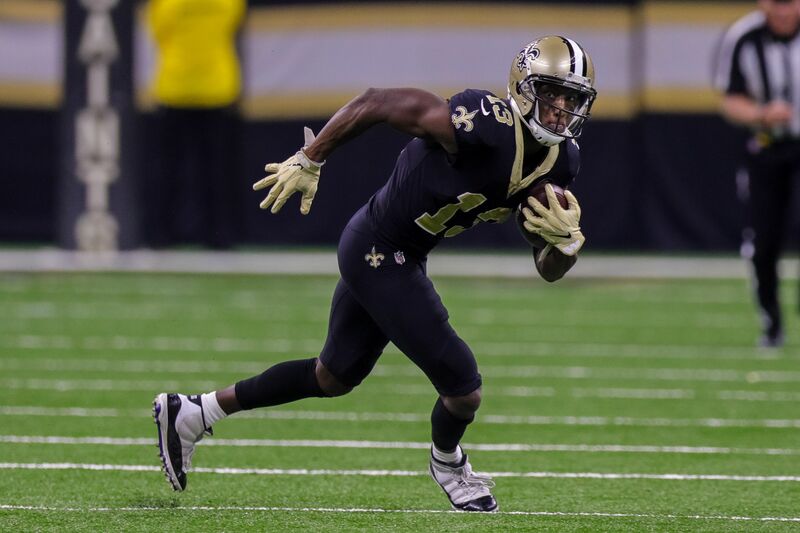 Saint’s Thomas, who was incredible in the game made sure to pay tribute to former Saints receiver Joe Horn by celebrating his last touchdown with a cellphone celebration.